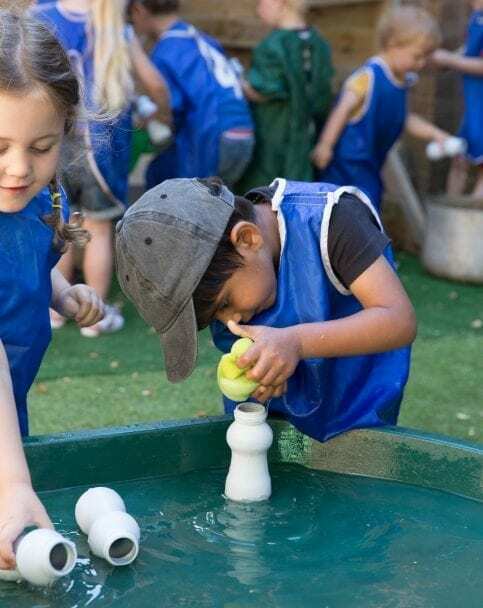 Alison Bates, founder of 4 nursery schools in Leicestershire, tells us about her experience and offers advice to others on achieving Ofsted success. Childcare is my second career. I spent 20 years in finance until I had my second child, who was born extremely prematurely and wasn’t expected to live. No nursery would take him because he was on oxygen, so I took redundancy and bought an existing playgroup. If I was the owner, he’d be able to attend, and no child would ever be turned away like he had been. He’s my driving passion to provide a better world for all children. His determination to live, drives me to provide him, and others, with a better life. When did you get your first Ofsted visit? Our first nursery in Burbage, achieved an “outstanding” rating in 2013. Our original inspection (3 years earlier) was graded “satisfactory” and although disappointed, I accepted that to pass an inspection within 8 weeks of opening, was actually quite an achievement. The inspector did, however, say something that I wasn’t happy about. She said that we would never achieve outstanding as we were a ‘pack away’ setting, and only ‘full day nurseries’ could achieve outstanding. At that point I started my plan to be outstanding. I was already undertaking my degree, but started to apply my learning to my setting. I learned about the ‘Mosaic approach’ and how to listen to children. I implemented this knowledge, giving the children cameras to photograph their favourite place. The results were astonishing. Staff photographed the playdough area, the outdoor area, construction etc. However, the children chose little areas where the sun came in and made a warm space, or a hole in the skirting board because they believed fairies lived in it. We were amazed at how far apart our thoughts were, and it proved to all my staff that we really needed to listen to the children. It also made us think about parents’ voices. My new-found confidence gave me encouragement to try different ideas. We invited parents in for activities. We asked them to help us with things, and this brought about good relationships and started to build a two-way trust. What did you do about staffing? As we became more popular, I needed to recruit more staff. My existing staff wrote down what we wanted from a practitioner: passion, the ability to play and talk to children and someone who would fit in with the existing team. We decided these qualities outweighed experience and qualifications. We found a candidate who joined our team as a non-qualified member of staff for 12 months. It was then time to take this to the next level and arrange some training. I’d been to a conference and taken some Parenta Training leaflets. I called them and arranged an interview for our candidate who was nervous as she’d not done any formal training for years, but her Parenta assessor was great. She made her feel really at ease and was always available for phone calls or emails to help her along the way. Sixteen months later, our colleague gained her level 3 qualification. It took us nearly 4 years to gain a qualified practitioner, but she was a brilliant one. We had personally trained her in-house with our good practice, and Parenta had given her the best training and qualification they could. It was a win/win partnership. What about your latest Ofsted ratings? I got a call saying that Ofsted had arrived at Burbage, raced there and found the inspector talking to parents. 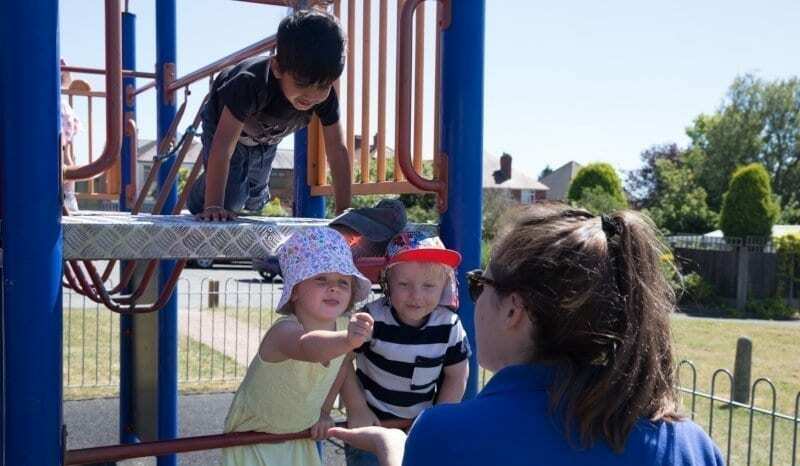 The inspector loved that we had involved parents in activities and getting out and about with the children, and that it had built up trusting relationships between us and the parents. The inspector did several joint observations and my staff were amazing. They knew each child inside out and exactly what was going on holistically with the children, working with parents as joint educators. We work in a scout hall and pack away every night. Not everything is new and perfect, but the inspector saw our passion and dedication to providing the best, and 3 years after opening, we were awarded “outstanding” – the first ‘pack away’ setting within Leicestershire to be awarded this for many years. Two years ago, I opened Broughton Astley with an existing member of staff as manager. Once again, we recruited non-qualified staff. We had experienced in-house staff who could help train them, and again we gave Parenta a call. When Ofsted came to inspect, we had a lovely inspector and talked frankly about the challenges we faced, then just got on with the day. The inspector spent time with every member of staff and later announced we had got “outstanding”. What do you put this success down to? I realised that I could make a difference, but it was going to be really hard on my own. When showing my team what a difference we could make, they became passionate about it too. Together we created plans, together we delivered our plans. Together we made an impact. How do you get great results in your staff training? I’m a big fan of CPD – you can’t gain a qualification and expect it to last you a lifetime. Things change and we have to keep up-to-date. 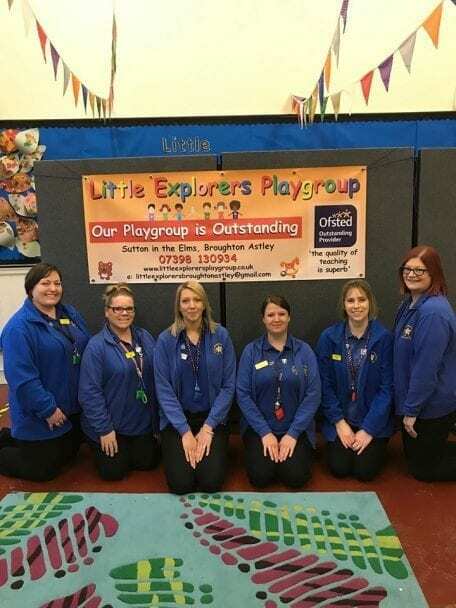 Every single member of staff has done some CPD including: Leadership and Management Level 5, an early years degree, Speech and Language and Mindfulness training. This gave them skills they didn’t have before and a confidence boost. It also encouraged them to learn more, and further training was signed up for, such as SENDCo training, autism training and Makaton. We share everything we have learned by having a staff meeting that incorporates all 4 settings, so we are sharing best practices with 20 staff, in-house.